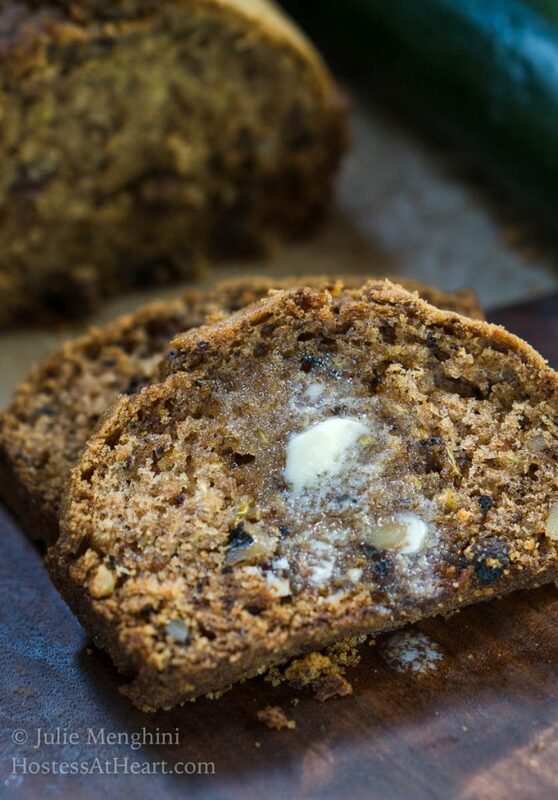 Grandpa George’s Zbread (Zucchini Bread) recipe is not your ordinary zucchini bread recipe. 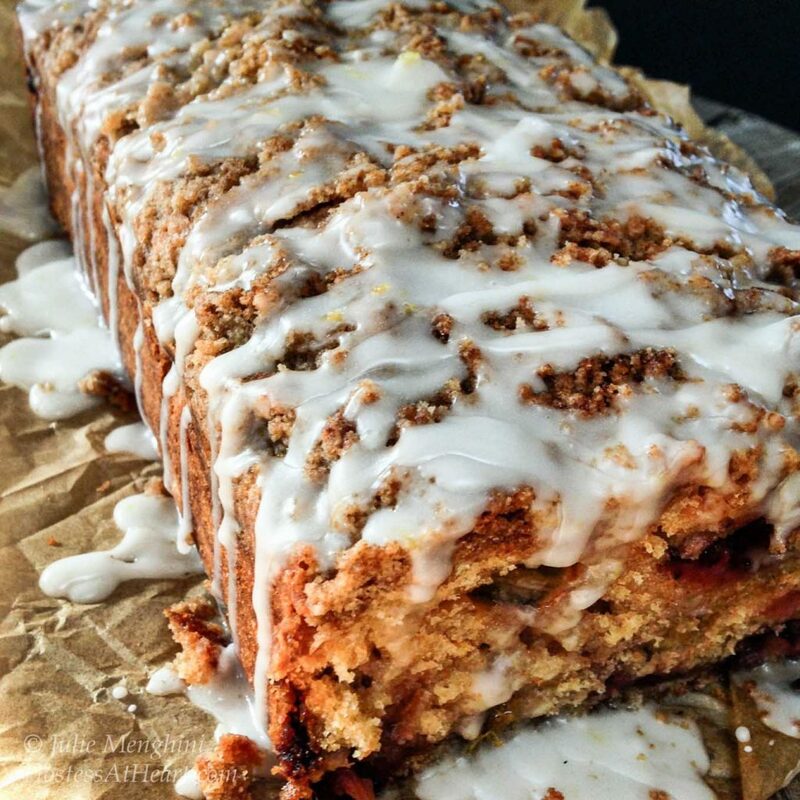 It is moist, delicious, and made with minimal ingredients. 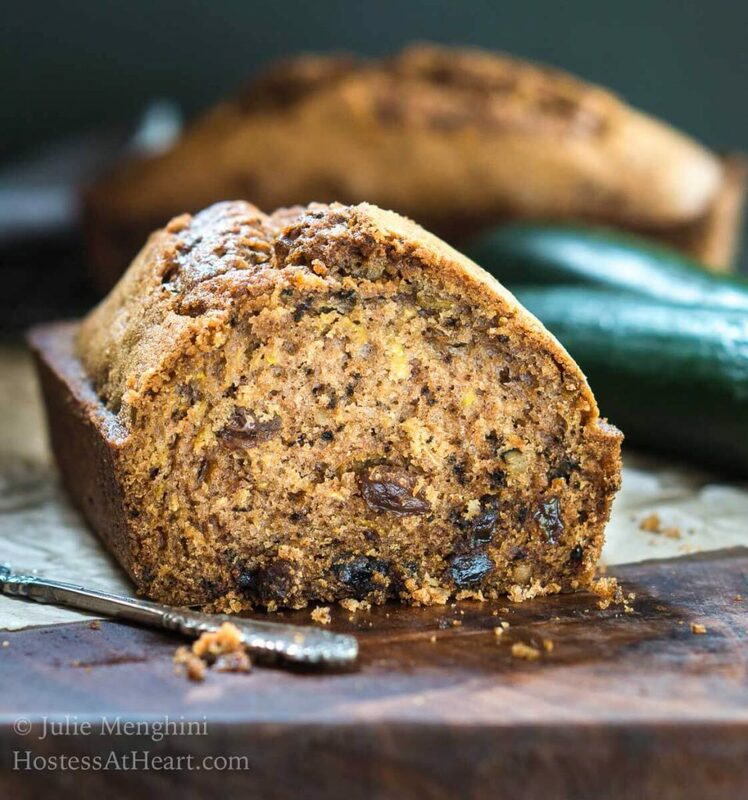 This Grandpa George’s Zbread (Zucchini Bread) recipe post is the definition of Hostess At Heart. If you have been with me for a while or new to the tribe (welcome), you know how much I value the stories that go with some of my recipes. You also know that I love recipes that use simple ingredients that are easy to find and delicious to eat! 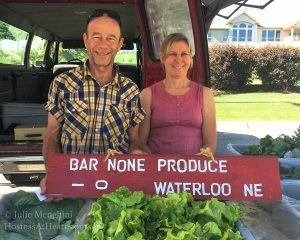 A few weeks ago our Farmer’s Markets were just getting started. They didn’t have a lot of produce yet but I couldn’t wait to get my hands on what was available. 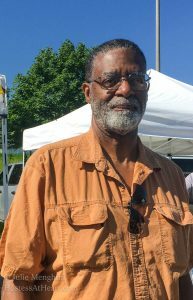 I was at one of the vendors and I heard this gentleman ask for zucchini. The answer was that it would be a couple more weeks yet. As I was leaving I stopped this gentleman, now referred to as George, and asked what was his favorite way to use zucchini. He told me that he’s spent some time perfecting a zucchini bread recipe using raw sugar instead of white granulated sugar. Like me, he tries to use as few processed ingredients as possible. He went on to say that his family loves his “Zbread” but he hasn’t shared the recipe…yet. I told George how blessed I was to have three generations of recipes and one of the reasons I started my blog was to share them. When people are no longer with us, we can remember sitting at the table with them and only wish we knew how to make some of the dishes they lovingly shared with us. 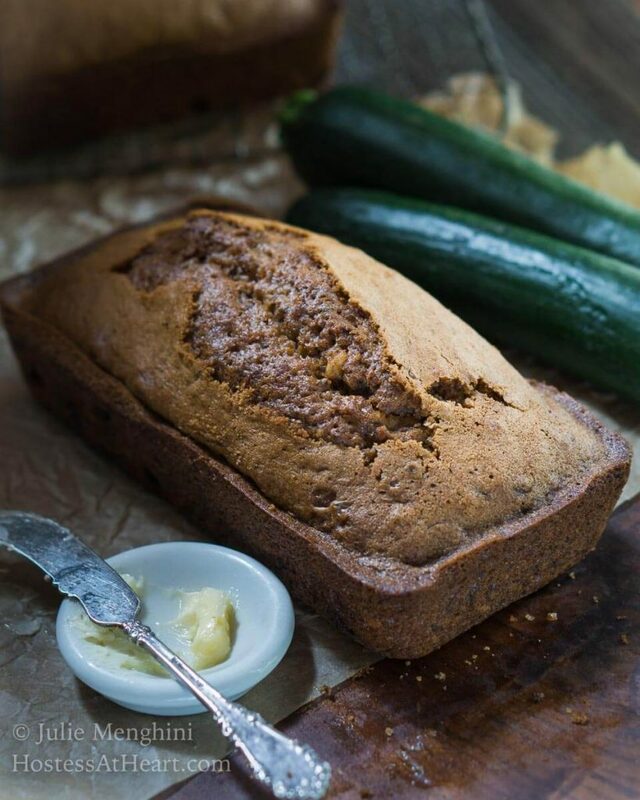 Grandpa George's Zucchini Bread recipe is not your ordinary zucchini bread recipe. It is moist, delicious, and made with minimal ingredients. Skin zucchinis and remove any seeds that feel hard if you are using zucchini larger than 13 inches long. Remove liquid from zucchini by lightly pressing by hand between a paper towel. Beat eggs, sugar, vanilla and oil together. In a separate bowl combine flour, baking powder, baking soda, cinnamon and salt together. Whisk to combine. Gradually mix dry ingredients into wet mixture and until combined. Prepare two 8-1/2x4 pans with non-stick method of your choice. Bake 55 minutes to 1 hour until toothpick inserted into the center comes out clean. Cool completely on a cooking rack prior to slicing. I actually used 3/4 cup of walnuts and raisins in the recipe as shown. Calories don't include optional walnuts or raisins. I can’t tell you how honored that I feel that George is trusting me to make and share his recipe. I’m sure that his family will cherish his recipe for years to come as much as I will. Here’s my friend George and a couple more friends that I will be seeing a lot of this summer. 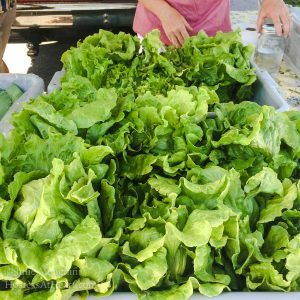 Will you look at this lettuce! Yep, I took some home and it was amazing. 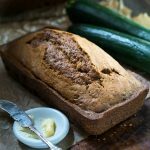 If you love bread as much as I do, you would know how excited I was to share this recipe and a few more that I love as well! i absolutely love recipes with stories, too, Julie, and this one is a treasure for sure. The fact that it uses raw sugar alone makes it a winner in my book! Thanks for sharing! Thank you, Michele! I’ve never used raw sugar like this but it was so good that I’ll be repeating the idea! I love when people are willing to share cherished recipes! This one looks phenomenal! Thank you so much, Justine! I love sharing recipes and their stories too! Thank you so much, Petra! I had so much fun making George’s Zbread! 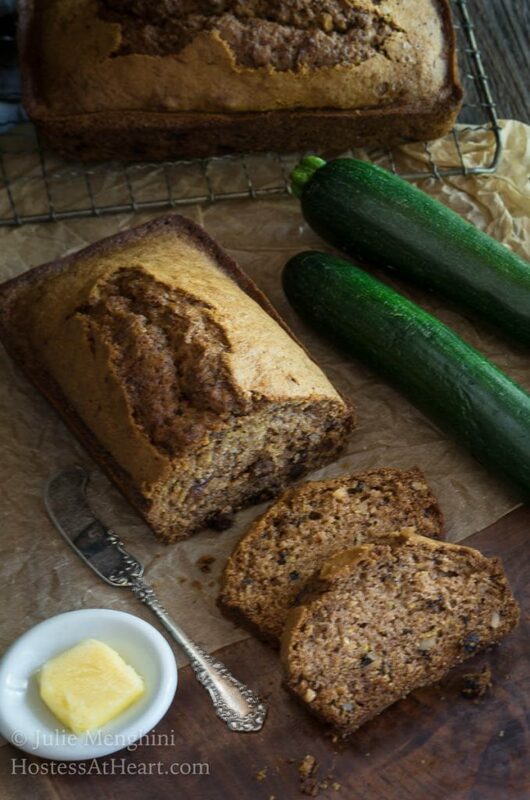 What a fabulous zucchini bread! I so enjoyed reading the post! 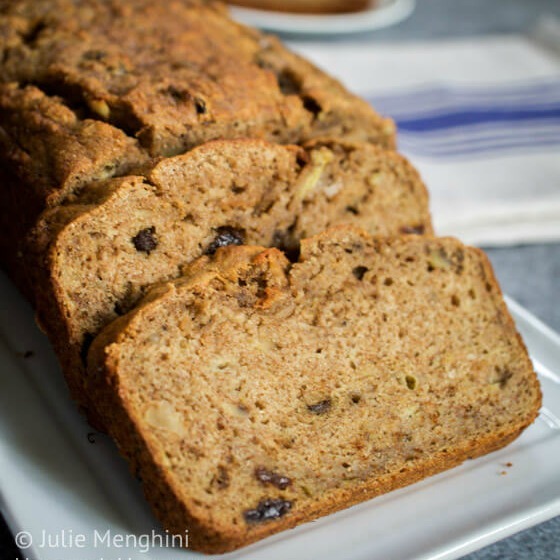 Definitely making GRANDPA GEORGE’S ZUCCHINI BREAD! Your photos are beautiful!! Thank you so much, Hadia! You are so kind. Thank you, Hadia! I had a wonderful time with this post as well! Awwwww! How sweet is this post? My grandma passed away a few years ago but we still make her recipes all the time and it’s such a perfect way to remember her :). Food has such great powers! If you see George again tell him hi from Phoenix, and that I can’t wait to try his recipe! I will Kelsie and think he’ll get a kick out of that. I sure would. My grandmother was my biggest inspiration in so many ways including the kitchen. I love that you have your grandmother’s recipes too. I am hoping to run into George again. He is actually a videographer and I picked his brain for quite awhile. He was very pleased with the post, and I’m hoping his family feel the same. Awww I love recipes with stories!!! They really are the best and make them so special! 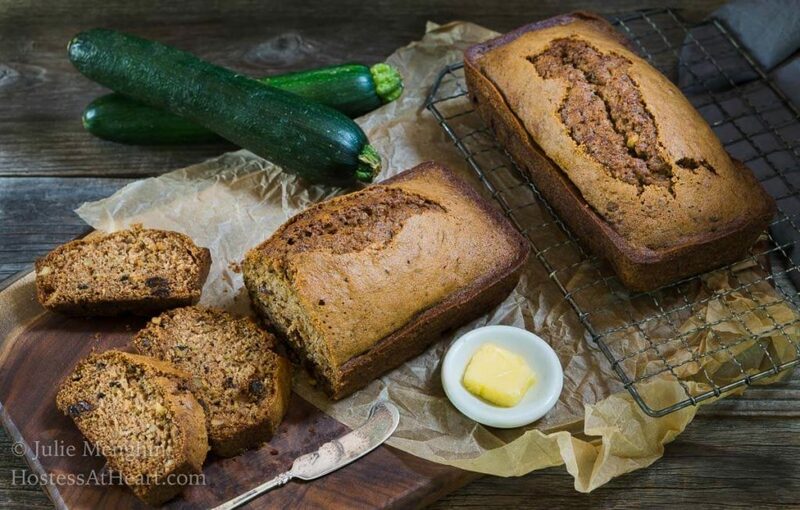 I love the end of summer because that usually means plentiful zucchini and zucchini bread!! I’ll have to try this recipe! Thanks for sharing. Thank you, Amanda! Hubby John didn’t think he liked zucchini read but he had to admit that he likes George’s Zbread! Thank you, Amanda! I really love the family stories that often go with recipes too. I fear that they will disappear so hope they keep getting retold! Thank you Sandhya! What’s funny is that I’m usually introverted but am so glad that I stopped him. We had a great conversation abut so many things. I agree that food is so much more than what you put into your mouth. It’s all social and a way to show people how much I care about them.